If you can't see your comment, take a minute to re-read the commenting guidelines. They exist for a reason. If you have questions, feel free to send them to me in a private message or email. I don't know much about mirrorless cameras but the top brands all still have a traditional looking view finder. Is that viewfinder image digital as well? Yes, the viewfinder is digital. The Lumix M3/4 line was born with a very, very good EVF even ten years ago. There was a little tearing in low light but it was surprisingly decent and has got much better over the years. Panasonic has also married video and stills like few others have been able to in mirrorless, to produce consistently complete cameras in a minimal package. 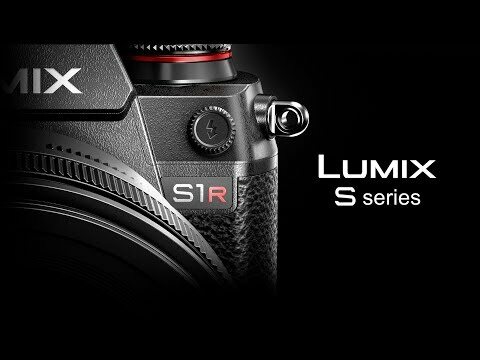 This new line will definitely put the cat amongst the pigeons and the Panasonic Leica partnership just strengthens the proposal. If the first S camera lands the way the first G1 did ten years ago, it will be force to be reckoned with. I run the Yearbook at the school where I work. Over the last 5 years we have been amassing good Canon glass. I’m afraid I’m going to be invested on the wrong side of the SLR/mirrorless divide, though! We’ll see. Right now, Panasonic has very little presence in the camera market. It’s considered to be one of the dwarfs along with Fuji, Olympus, Pentax and Ricoh. Leica also has very little presence there. It’s high price moves it out to the well heeled amateur segment. If they're mirrorless and have a viewfinder, the viewfinder will be digital. Yes. Sony currently leads full frame mirrorless sales, but they still lack a full range of lenses. Both Canon and Nikon have new mounts, with adaptors and a full range of lenses from their DSLR and Film camera lines, and lots of users. Third party lens native mount support is robust for both Canon and Nikon, less of for Sony. Panasonic has limited lenses to start, available Leica L Mount lenses are boutique, and Sigma will likely be supporting all of the mounts equally. I think that the G5 is favored for video by v-loggers, but it is micro four thirds, so users will have to start anew. Otherwise the advantage that I see for the Panasonic is really just the 4K 60P over Canon and Nikon, and that will likely be rectified in the new future with new, high end models from Sony, Canon and Nikon. Myself, I don't think Sony, Canon, or Nikon really need to be all the concerned about full frame competition from Panasonic, Sigma, or Leica, so no, not really a cat amongst the pigeons, or as I like to say, clubbing baby seals. I am a Nikon D500 DSLR user, with some full frame lenses, so a transition for me to the Nikon Z mount would be straightforward; the same could be said for Canon DSLR users. That's the reason that I don't think Panasonic will worry the others in an expanding market. I would note, that Nikon's Z mount is capable of a f/0.95 lens, which would be an impressive exotic. Don’t worry about it. DSLRs will be around for some time. In the US, Canon mirrorless is number one, and is number two most everywhere else. They’re also the fastest growing mirrorless line, even without full frame. Personally looking forward to the final reviews on this. Unlike Canon, Panasonic doesn’t intentionally cripple the video capabilities of their stills cameras to protect their video line. The big advantage for Panasonic (and Sony) is that they 'know' digital and everything associated with it (screens, viewfinders, video processors, software) far better than Canon or Nikon. They have far better logistical capacity (again, like Sony). I don't understand the boutique reference. This Panasonic system doesn't exist yet and any current boutique status for the mount will be lost quickly seeing as a system for the pro markets without lenses is dead in the water. The same thing happened with m4/3. Of course, Leica will also provide lenses for Panasonic without the Leica branding or certification (again, just like with m4/3). The cat will be amongst the pigeons as a major player with ample resources is entering a specialised and relatively small market and brings with it the kind of design agility that the likes of Canon and Nikon can only dream of. They will also back the product up with a new pro services network. Something that will be very easy to do given their existing networks. Sony and Panasonic know each other very well but in this case it is Sony that has something to lose. The biggest issue is the user and how to get him/her onboard but this announcement is largely a declaration of intentions and from the m4/3 (which will continue btw) experience, Panasonic won't just dip a toe into the water, it will carve out a space for itself. "Too many folk believe that it is the product and technology that is the thing that wins a market war like we're about to have in mirrorless full frame. No, it's not. The thing that wins is having a customer focus. No customer, no sale, no matter what the technology. So it's how you engage and speak to that potential customer that's important. Sure, describing why your technology is better might be part of that, but you actually have to catch the customer's attention before you can get to that discussion." Sounds like like another company that we well know. Weird that that piece totally misses one major area for new growth: new users, with no entrenchment. The author seemingly failed to forecast the entry of Panasonic into this reduced market too. Read more, post less. Thom never stated anywhere that they wouldn't enter the full frame market, but now that they have, it's pretty easy to state that Panasonic is no disruption to either the Full Frame MILC or DSLR's from Canon or Nikon. If you think that there are a lot of new users to find in the market, you should post a link to back it up. Right now, Sony holds near 100% of the Full Frame MILC market, but that will drop rapidly as Canon and Nikon ship their first generation. Together, those three will have 90% of the market, and to Panasonic is many months away from delivery of their first models. If you don't agree with Thom, al least post some links stating how and why Panasonic is going to be taking marketshare from the three current players. "How does the L mount stack up against the other mirrorless full frame mounts? If you're to believe Canon's and Nikon's technical descriptions about how a bigger mount is better for future new optical designs, Nikon has the most flexible mount with Canon a bit behind that. The L-mount and the FE mount have some liabilities when it comes to ray-bending at the back"
That’s a load of crap. Where do you come up with this? Panasonic is almost invisible by itself in the camera industry. There’s a good reason why Canon has 50% of the camera industries sales, and Nikon 35%, with Sony having about 7%, while everyone else has the 8% that’s left to divide up amongst themselves. panasonis is no cat here, they’re a baby mouse hiding from the lions. Panasonic is going to have to convince those many millions of users to move from their systems to a brand new system with an uncertain future. I remember when Samsung fans were just as convinced about their superiority and inevitable success. What happened there? After spending a whale of a lot of money, and years of making alliances, they completely dropped out of the market. That he 'never said they wouldn't enter the market' is besides the point. No. He didn't even mention them! What a huge miss! He writes a piece on the 'fight at the top' in early September, when rumours were rife on this Panasonic move and didn't even make a passing reference to it. That failing undermined the whole piece. Then he writes another piece and calls them 'the baby elephants' in the room. Very clever! Simply because they have no current presence with this new proposal. It's actually more like a mammoth just entered the room. LOL. "If you think that there are a lot of new users to find in the market, you should post a link to back it up"
No need. The laws of nature. People leave the market retirement, death, career change etc and people enter the market. The point is, there is no entrenchment for those people. Not in knowhow, habits or equipment. In such a small market the actual change is more noticeable. "Sigma has yet to produce a digital camera with convincing UI, focus, and low light performance." That is also wierd. Did he forget that although Sigma will be producing cameras for this mount, the real push will be to put lenses onto the market? 14 next year alone (mainly the same Sigmas currently available for Sony. Panasonic is in the opposite position. The real push is with the camera although it will also produce lenses. "Canikony" to claim "90% of the market"
And promptly lumps Canon, Nikon and Sony into one group for no valid reason. Why not separate those numbers and try to imagine a fourth major player? Of course that player has 0% of the market because it has no phones available yet, but it is clear that Panasonic is NOT entering this market to be a niche player. Reason enough to take major notice. Saying the other three have 90% of the market make little sende unless stating the obvious is back in fashion. "If you're to believe Canon's and Nikon's technical descriptions about how a bigger mount is better for future new optical designs, Nikon has the most flexible mount with Canon a bit behind that. The L-mount and the FE mount have some liabilities when it comes to ray-bending at the back." The obvious stance to that is what if you don't believe all that? Are we to imagine Panasonic does? And then, how far can Canon and especially Nikon go if they lose even relatively few sales to Panasonic? Are they so healthy that they can trudge on for a long period unaffected or will alarm bells sound sooner rather than later. Looking at how well m4/3 turned out I am optimistic about this new project. We'll see how it turns out but anyone claiming this is a failed project, or too high a mountain to climb, really doesn't understand what Panasonic has already pulled off in m4/3. Notably the GH series. Your understanding of the industry is abysmal.